The Polynesian Resort is an under the radar second location on Disney World property to pick up a Dole Whip Soft Serve! After a disastrous lunch at Captain Cook's (read about it here), Gus and I ventured around the main building to check out some of the new additions to the Polynesian Resort. 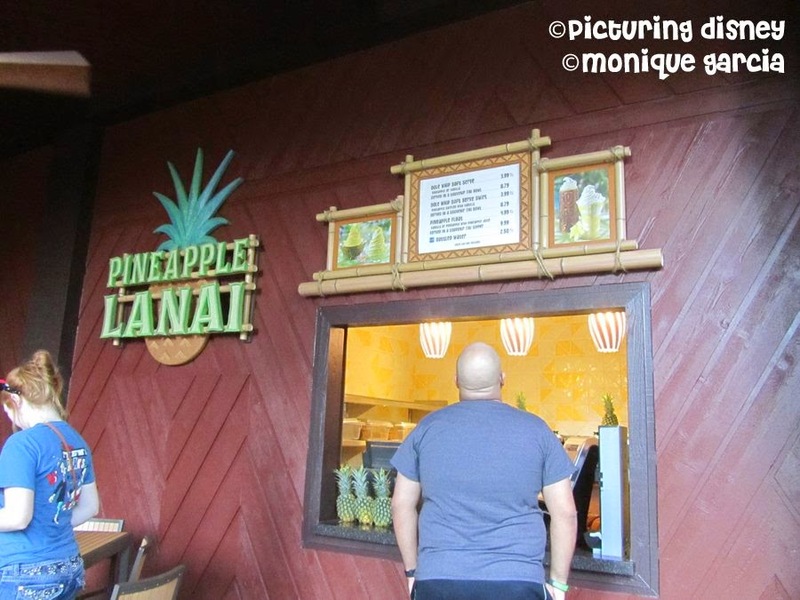 Pineapple Lanai just reopened after a huge renovation. As expected, the delectable treat put big smiles on our faces! Of course you can always upgrade to a Souvenir Tiki bowl! Which is your favorite Dole Whip treat from the Pineapple Lanai?